In this cool beginning reader, Pete uses creativity to create a delicious sandwich and then teaches readers about the joy of sharing with friends. 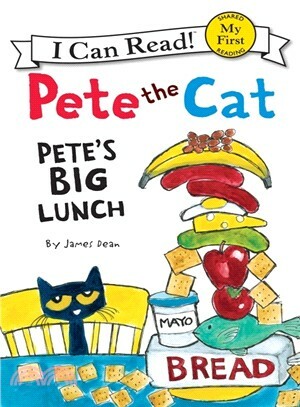 Pete the Cat: Pete's Big Lunch is a My First I Can Read book, which means it's perfect for shared reading with a child. Don't miss Pete's other adventures, including Pete the Cat: I Love My White Shoes, Pete the Cat: Rocking in My School Shoes, Pete the Cat and His Four Groovy Buttons, Pete the Cat Saves Christmas, and Pete the Cat and His Magic Sunglasses.